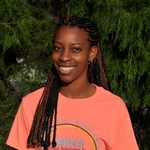 Janine attended Newberry College where she played basketball and received her Bachelor’s degree in Physical Education before attending Keiser University to receive an Associate’s degree as a Physical Therapist Assistant. 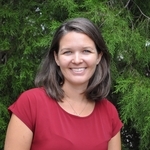 Janine is a former high school basketball coach and has always worked with and had a love for children. She loves working with children with special needs and her strengths include orthopedic therapy. 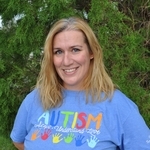 Janine enjoys spending time with her son and being a part of a youth non-profit organization. Lauren attended the University of Florida to receive her Bachelor’s degree in Applied Physiology and Kinesiology before attending Nova Southeastern University to receive her Doctorate degree in Physical Therapy. Lauren has always had a passion for working with children and realized she wanted to work in Pediatrics specifically during her internship at Children’s Therapy Solutions. Lauren is active in her community as a member of The Junior League of Manatee County. På fritiden, Lauren enjoys spending time with her husband, family, and friends. Heather ble uteksaminert fra South University med sin Associate of Science for fysioterapi assistent i,,en,Heather ble trukket til feltet av fysioterapi på grunn av hennes lidenskap for å jobbe med barn med funksjonshemninger,,en,Hun begynte sin karriere senere i livet etter å ha reist to barn av seg selv,,en 2016. Heather was drawn to the field of physical therapy due to her passion for working with children with disabilities. She began her career later in life after raising two children of her own. Heather is a patient, caring, and creative therapist who enjoys motivating her patients to succeed. In her free time, Heather enjoys off-roading in the family jeep and going to the beach. 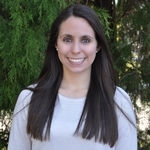 Samantha earned her Bachelors of Science for Health Sciences from New England College in 2012 and her Associate of Science for Physical Therapy Assistant from Mount Washington College in 2016. Samantha grew up in New Hampshire and recently moved south to Florida. She has gained outpatient experience in other settings and volunteered with Muscular Dystrophy Association and Special Olympics. She has experience in aquatic therapy, hippotherapy, and is LSVT Big certified which she applies when working with patients with Parkinson’s and related disorders. Samantha has always known she wanted to work with children in order to be able to help them learn and grow which she is very passionate about. In her free time she enjoys kayaking, going to the beach, and practicing yoga. Karrin fikk sin mastergrad i fysioterapi fra University of Miami School of Medicine. Hun har over 19 års erfaring i behandling av ortopediske skader, premature barn, og medisinsk skjøre barn i en rekke innstillinger, inkludert skoler, hjem, og klinikker. På fritiden, Karrin liker å tilbringe tid med sin mann og tre barn. Tania graduated from State College of Florida in Bradenton, FL in 2017 and has been working as a PTA since. She spent 8 months practicing PTA in the state of Texas. She worked in skilled nursing facilities and home health settings where she worked with kids, adults, and the geriatric population.Tania chose physical therapy because of her desire to help people with impairments and disabilities achieve their full potential. Tania was born and raised in the beautiful city of Sarasota, FL and loves to spend free time with family and friends, going out to eat, spending time outdoors, and traveling. © 2014 Barnas Therapy Solutions, Inc.